Continuous time-series metric collection of Satellite & all Capsules are essential while satellite running at scale. 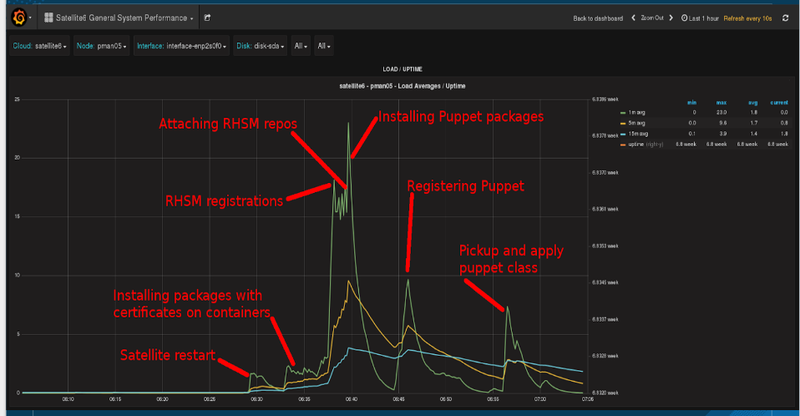 Grafana – Visualize metrics from multiple backends. 3) How do i configure performance? Thanks to Archit, Jhutar for providing inputs & help! When registering content hosts at scale, it is recommended to increase max_connections setting (set to 100 by default) as per your needs and HW profile. For example, you might need to set the value to 200 when you are registering 200 content hosts in parallel. When you use katello-agent extensively, plan storage capacity for /var/lib/qpidd in advance. Currently, in Satellite 6.2 /var/lib/qpidd requires 2MB disk space per a content hos. Special Thanks to Jan Jutar & Archit Sarma for the help to get scale numbers. Red Hat Satellite is a system management solution that enables you to deploy, configure, and maintain your systems across physical, virtual, and cloud environments. Satellite provides provisioning, remote management and monitoring of multiple Red Hat Enterprise Linux deployments with a single, centralized tool. Red Hat Satellite Server synchronizes the content from Red Hat Customer Portal and other sources, and provides functionality including fine-grained life cycle management, user and group role-based access control, integrated subscription management, as well as advanced GUI, CLI, or API access. Satellite 6 is the next generation Linux systems management tool and is the combined product of many open source projects, including Foreman, Katello, Pulp, Candlepin, and Puppet. Since all of these projects bring different featuresand functionality, the performance of your Satellite 6 server is essential. 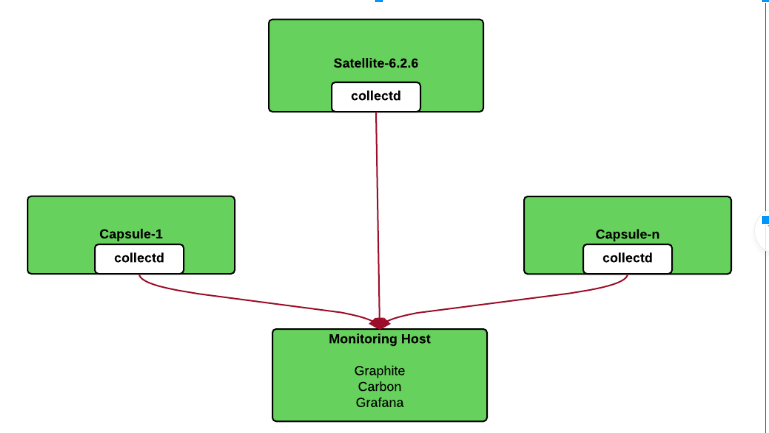 Once we start scaling up datacenter, so as capsule server and managed nodes, its essential to have satelitte healthcheck tool. It make sure to check all basic services, network ports..etc checked. There might be other tools. I find this useful and i customized it for my satelitte scale work. This is not officially supported one.